David Unsworth praised his players’ resilience after the young Blues drew 1-1 at League One high-fliers Barnsley in their final Checkatrade Trophy group clash. Bassala Sambou’s bullet header early in the second half cancelled out Ryan Hedges’ opener, before the Tykes secured a bonus point in Northern Group F by winning 4-2 on penalties. The home side netted all their spot-kicks and – while Sambou and Jack Kiersey fired home for the Toffees – Barnsley stopper Adam Davies made fine saves from Boris Mathis and Shayne Lavery. Unsworth named a youthful starting line-up at Oakwell and they kept the Tykes at arm’s length for much of the contest. Skipper Morgan Feeney impressively marshalled a back three that featured fellow 19-year-old Con Ouzounidis and Ryan Astley, who just turned 17 in October. The young Blues also posed a threat on the counter-attack, with tireless lone frontman Sambou a constant menace. 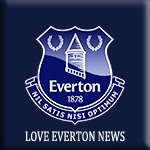 While Unsworth was frustrated the game marked the end of Everton’s involvement in this year’s competition, he highlighted a number of encouraging signs in the young Blues’ display. “I thought we were terrific,” he said. “We stayed in the game, we defended brilliantly, and I’m very happy with the performance. “At half-time, we asked them to stay in the game and try to get that equaliser. And it was great goal by Bass after an excellent ball in from Josh Bowler. “We were delighted with that and we had our opportunities on the counter-attack. We probably should have won it. The home side - who sit fourth in League One - enjoyed the lion’s share of possession in the first-half at Oakwell, but Everton’s potency on the break was evident throughout and a surging burst forward from Kiersey almost led to the evening’s opening goal. The 20-year-old, playing at wing-back, brilliantly cut out a crossfield pass before driving at the Barnsley defence. He picked out Manasse Mampala, who clipped in a cross that was just behind Sambou, with the striker unable to find the right connection. The home side were next to threaten - Cauley Woodrow’s swerving effort looked destined for the top corner before Joe Hilton made a breathtaking fingertip stop, touching the ball on to the crossbar. The Tykes were to break the deadlock, however, Hedges firing a low shot past Hilton from just outside the box on 40 minutes. The Toffees came haring out of the blocks in the second half and – after Bowler and Sambou both went close – the pair combined to get Everton back on level terms nine minutes after the break. Bowler was the creator, his fizzing corner delivery powerfully headed home by Sambou to make it 1-1. Both sides went on the hunt for a winner and Everton almost struck the decisive blow, with Mampala and Bowler both forcing terrific stops from Barnsley ‘keeper Davies. The sides could not be separated in normal time but Barnsley snatched a bonus point by triumphing the shootout. Davies thwarted Mathis and Lavery, before Mamadou Thiam stepped up to rifle home the winning spot-kick. Everton were also edged out on penalties in their Checkatrade Trophy opener at Bradford City, while they let a two-goal lead slip last week against Oldham Athletic. Boss Unsworth believes his side could well have achieved maximum points in their group matches but believes the experience of facing seasoned professionals will prove invaluable for his emerging talents. “All three games in this competition, we should have won,” he said. “I hope the players take a lot from it, that’s why we’ve entered it these past couple of years.